The issue: Unemployment in Europe has increased to high levels and economic growth has remained subdued. A debate on additional policy instruments to address the situation is therefore warranted. Fiscal stabilisation mechanisms have not provided adequate fiscal stabilisation during the crisis in some countries nor in the euro area as a whole. Different preferences and historical developments mean that national labour markets are differently organised, which sometimes hinders the efficient working of the monetary union. 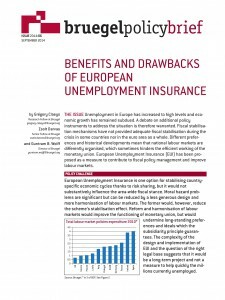 European Unemployment Insurance (EUI) has been proposed as a measure to contribute to fiscal policy management and improve labour markets. Policy challenge: European Unemployment Insurance is one option for stabilising country specific economic cycles thanks to risk sharing, but it would not substantively influence the area-wide fiscal stance. Moral hazard problems are significant but can be reduced by a less generous design and more harmonisation of labour markets. The former would, however, reducethe scheme’s stabilisation effect. 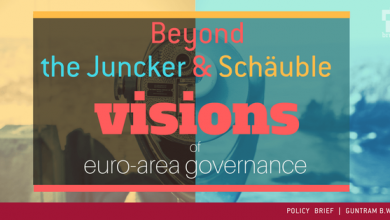 Reform and harmonisation of labour markets would improve the functioning of monetary union, but would undermine long-standing preferences and ideals which the subsidiarity principle guarantees. The complexity of the design and implementation of EUI and the question of the rightlegal base suggests that it would be a long-term project and not a measure to help quickly the millions currently unemployed. Prepared for the ECOFIN in Milan on 13 September 2014. Previous Post EU to DO 2015-2019: Memos to the new EU leadershipNext Post So far apart and yet so close: Should the ECB care about inflation differentials?